This blue and orange bracelet can be a fun way to show your game day spirit. This bracelet is has four strands of seed beads, two strands of blue and two of orange. 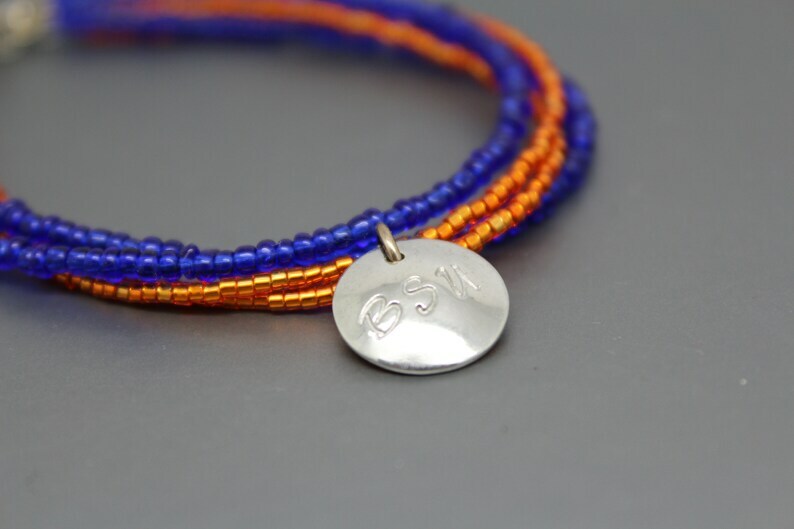 A hand cut pewter charm stamped with BSU hangs from the orange strands. The bracelet ends are finished with sterling silver jump rings and a sterling silver spring ring clasp. This blue and orange bracelet is shiny and measures approximately 8" in length including the clasp.